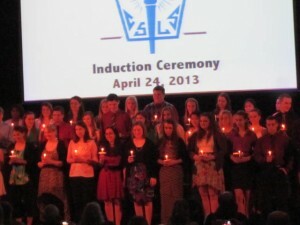 The Garden Spot National Honor Society added 43 members at its Induction Ceremony on April 24. Principal Matthew Sanger, welcomed the inductees and their parents. Christy Weaver, NHS president, presented an overview of the activities and service projects the group has accomplished this school year. The inductees were introduced and presented with a NHS certificate and pin. 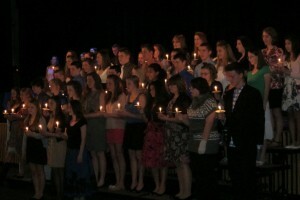 They also recited the NHS pledge in a candle lighting ceremony. The inductees include seniors, juniors, and sophomores that were selected based on the four pillars of NHS which are scholarship, leadership, character and service. Garden Spot High School welcomed 51 students into the National Honor Society in an Induction Ceremony on March 21. 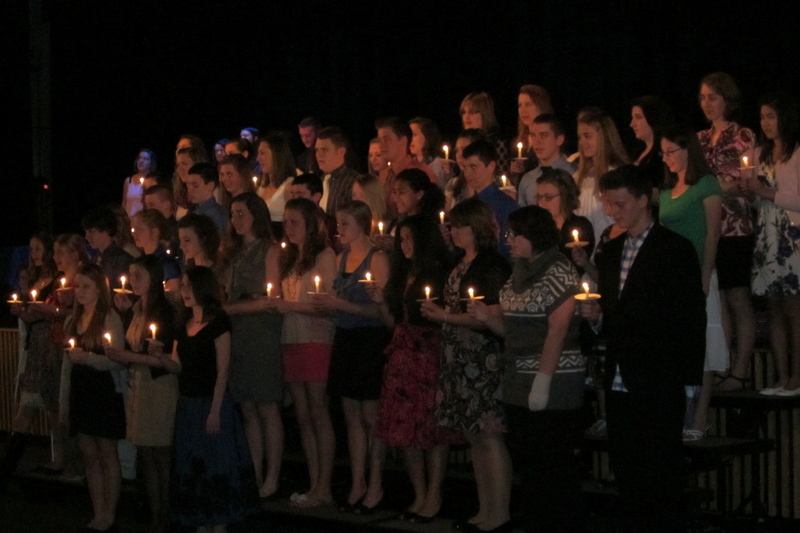 As part of the ceremony, new inductees recite the NHS Pledge and participate in a candle lighting ceremony. Students selected for NHS must exhibit exceptional scholarship, leadership, character, and service. This year’s inductees include seniors, juniors, and sophomores. 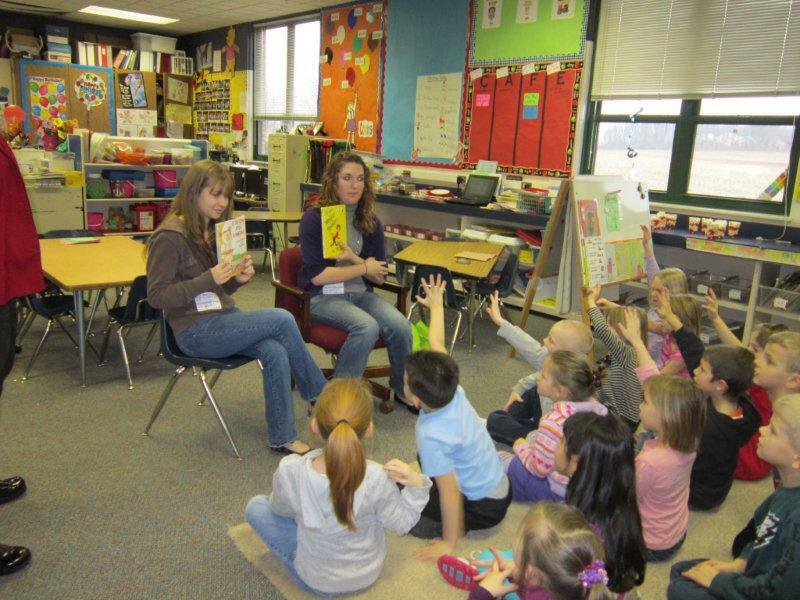 Members of NHS participate in service projects in the school and in the community. 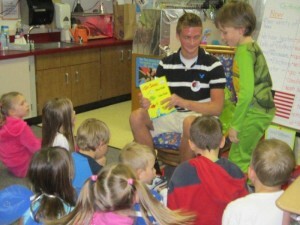 Members of the National Honor Society visited the District’s three elementary schools to help them celebrate Read Across America on Friday, March 2. 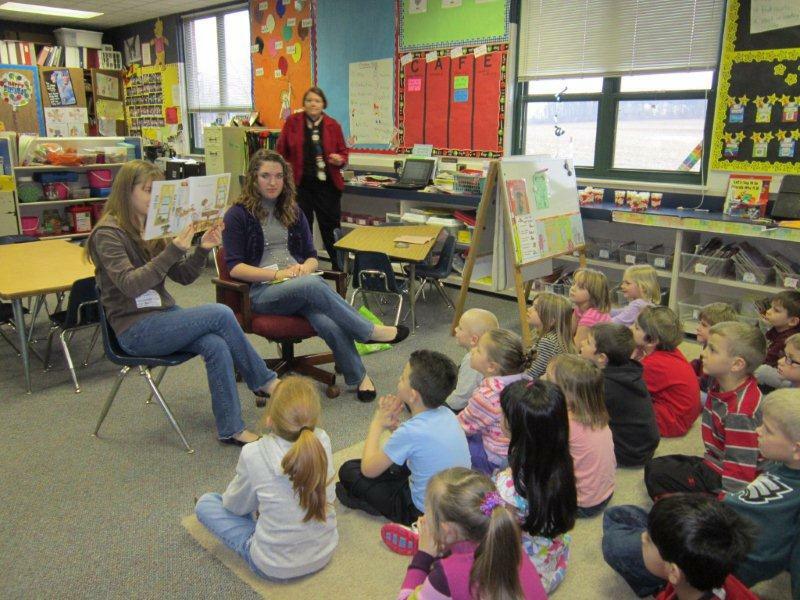 The event is held each year to celebrate reading and is traditionally held on Dr. Seuss’ birthday. NHS members visited several classrooms to talk with the younger students and to read stories to them. The project was coordinated by National Honor Society members and librarians in all the buildings. Students of all ages enjoyed the special day! National Honor Society alumni from the class of 2010 returned to Garden Spot on Dec. 22 to meet with current NHS members. The recent graduates participated the Meet the College Freshmen program, and shared advice on surviving and coping with the first semester of college. They offered insight into how to select classes, how to cope with roommates, how to get involved with clubs, and how to prepare now for college life. They also discussed which classes and experiences at Garden Spot have helped them in college. 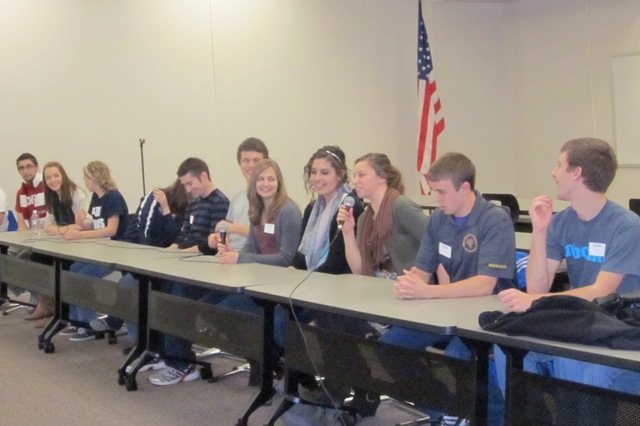 Current NHS members had a chance to ask questions and to socialize with the returning members. The graduates who participated attend a variety of colleges such as Penn State, Temple, West Chester, Messiah, and Syracruse. Students, faculty, staff, and visitors to Garden Spot High School in December are greeted with seasonal greetings and drawings on doors and windows. 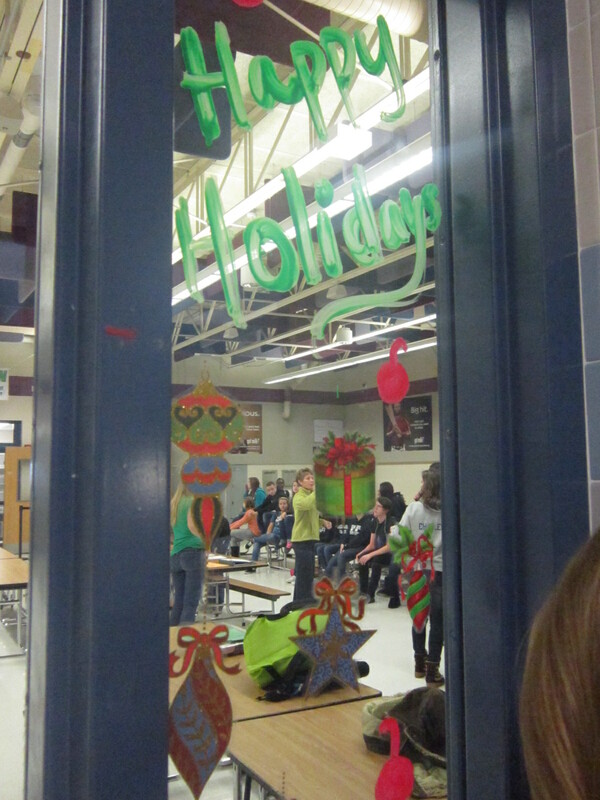 Members of the National Honor Society used their artistic talents to “deck the halls” of the school. The Deck the Halls project has been a long-standing tradition at the school, and NHS members enjoy spreading holiday spirit with everyone in the school.